LIMERICK The Wine & Spirits on Ridge Pike is not a drive-in, but one man didnt allow that to stop him late Thursday afternoon. It came through the window and went straight through to the cash register, said Dawn Lacey, an employee at the store. Sgt. Robert Matalavage, of the Limerick Police, said the green Mustang convertible crashed into the store on the 200 block of West Ridge Pike around 4 p.m. He pulled up, hit the accelerator and jumped the curb, Matalavage said. (Then he) put it in reverse and backed out. The driver exhibited signs of intoxication, Matalavage said, smelling of alcohol and failing field-sobriety tests. The man, whose identity was not fully confirmed, was taken to Pottstown Memorial Medical Center by police for a blood test to determine how intoxicated he might have been. No one was injured in the crash, but Lacey said it could have been much worse. There were just three people right there, Lacey said. Its a miracle. Two plate windows at the front of the store were smashed and an aluminum frame was crushed. A line of shopping carts snaked backward from the cars impact, but it seemed that none of the bottles or merchandise inside the store was damaged. The only glass visible was the crumbled bits from the windows covering the sidewalk in front of the store. A man approached the yellow police tape around the scene around 4:45 p.m. They closed? he asked a man brought in to do repairs. The repairman, leaning on his van, laughed. Its all free, he said. In fact, Lacey said the store was closed for the rest of the day. Inside, employees could be seen moving boxes or just staring in disbelief at the broken window. The Mustang was towed from the scene. (Updated at 5:04 p.m.) LIMERICK Police are investigating what caused a man to back his Mustang into the Wine & Spirits store at 200 West Ridge Pike around 4 p.m. Thursday. Police are looking into whether the driver of the vehicle was intoxicated at the time of the crash. The car was removed from the store by 4:30 p.m. Thursday. It was unknown if anyone was injured in the crash. LIMERICK A car drove through a window of the Wine and Spirits store at 200 W. Ridge Pike around 4 p.m. Thursday, causing damage to the store. According to a source at the scene, the car drove almost to the cashiers counter inside the store. It was removed by 4:30 p.m. It was unknown if anyone was injured in the crash. Mercury staff are on scene. Check back here for updates on this story. 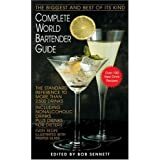 Hospitality Manager’s Guide to Wines, Beers, and Spirits by Albert W. A…. Click here for more information about 'Updated: Car Smashes Into Limerick Wine Spirits Store'.